If you don’t know when the best time to make your travel to Sapa is, if you’re hesitating between a stunning Sapa in autumn with golden terraced fields, a romantic Sapa in autumn with perfect weather and beautiful landscapes, or a mysterious Sapa in winter with snow and unique sceneries, then why don’t you try taking a train and head to Sapa in its most wonderful time of the year, the spring, the time of lots of traditional festivals of ethnic minorities in the highland district of Sapa. Coming to North West is not only attracted by the splendid beauty of majestic Fansipan Mountain and Y Ty Jungle in Lao Cai province and Ha Giang nature reserve in Ha Giang province and catch sight of spectacular scenery of the “Big Four Passes” of the Northwest, namely O Quy Ho Pass (Lao Cai province), Khau Pha Pass (Yen Bai province), Pha Din Pass (Dien Bien province) and Ma Pi Leng (Ha Giang province) but also the colourful traditional festivals. The Mong people in the North West and Sapa (Lao Cai) hold Gau Tao festival on a beautiful day in January every year to pray luck for couples without children. The festival is held on a wide beach along the ridge. 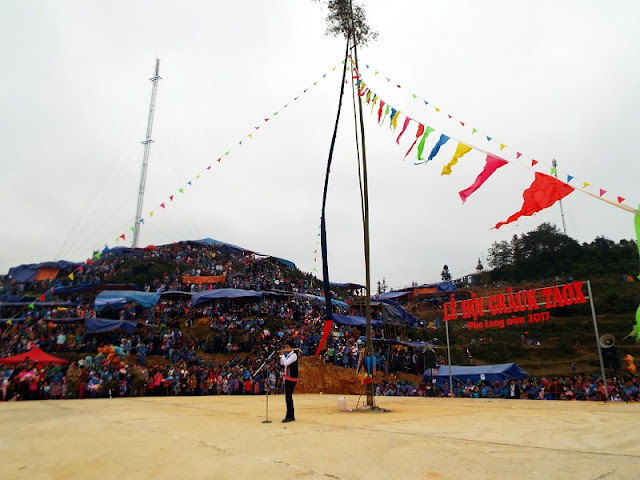 The spring festival attracts a lot of Hmong people in the area especially young unmarried men and women to sing giao duyen or participate in traditional games like pushing sticks, catching goats while blindfolded, shooting crossbows and climbing. 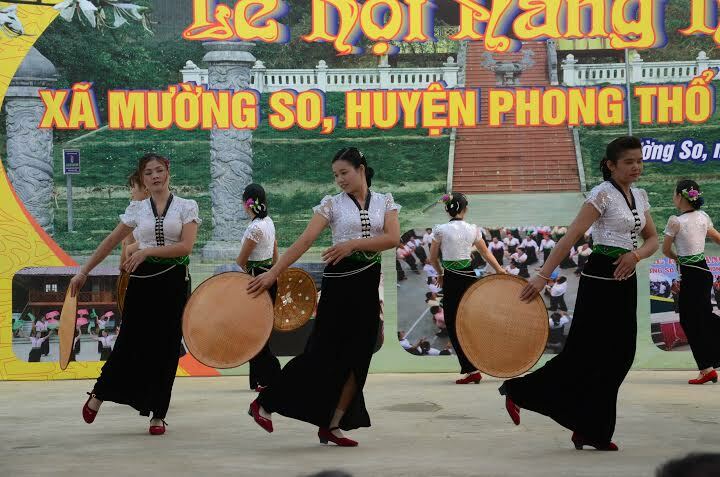 Gau Tao spring festival of the Hmong ethnic group in Sa Pa takes place at the foot of Fansipan mountain in Ta Giang Phin where there is Ngu Chi Son beautiful mountain, a destination for tourists each spring. Nang Han Festival in Muong So Commune, Phong Tho District, Lai Chau Province was held on 15/2 lunar year, honoring her heroic struggle against foreign invaders of white Thai people, pray for prosperity, peaceful life, good harvest throughout the village. Legend has it that after defeating foreign invaders, she went down the bath stream to wash clean, the same ethnic people welcome Spring. Once down the bath, she flew to heaven, leaving only on the edge of the sword. At Vang Pheo village, where Nang Han put the sword, the people set up the shrine and annually held a memorial ceremony to commemorate her. The cheers rang out from the youngsters who were playing tug of war, push the stick, shooting crossbow, speeding. The large yard in front of the Vang Pheo Cultural House transforms into a stage, a riot of folk music and folk songs. Thai girls are flexible in dances. As the sun descends far behind the forest, on the floor of the Vang Pheo Cultural House has set up traditional Thai rice trays. This is the culinary contest - the most attractive part of the festival. That is Com Lam, sticky 3 colors, forest shoots, barbecue, stream fish, salad... and many of the typical local people dishes. So, what are you still waiting for? Let’s come to Sapa and remember to take part in traditional festivals of ethnic minorities and discover unique customs. Besides, breath-taking landscapes, this place is also a unique destination which has in its heard a great variety of culture.